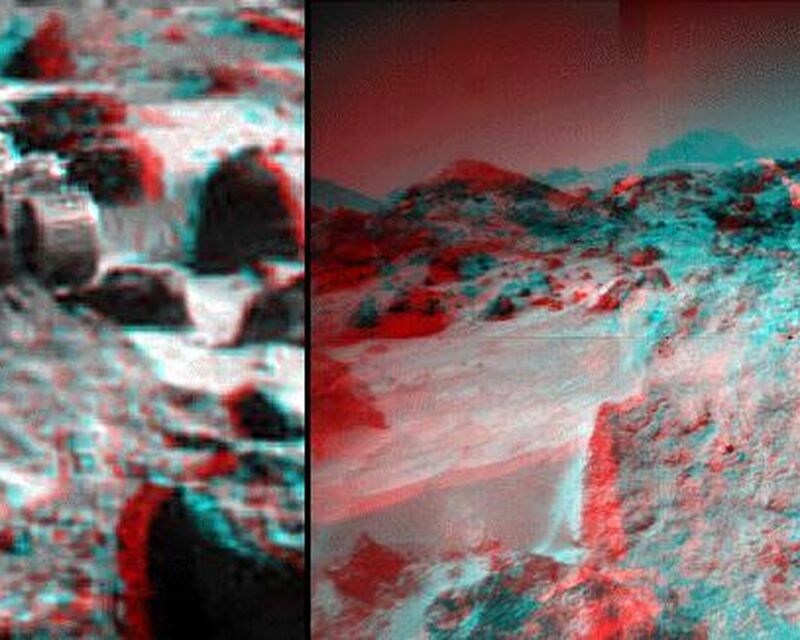 These anaglyph views of Ender, due south of the lander, were produced by combining left and right views from the IMP (left image) and two right eye frames taken from different viewing angles from the rover (right image). 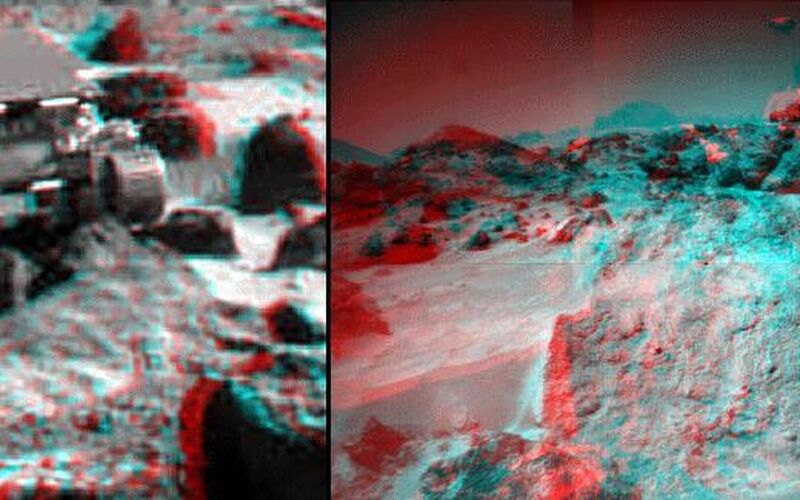 For the rover, one of the right eye frames was distorted using Photoshop to approximate the projection of the left eye view (without this, the stereo pair is painful to view). 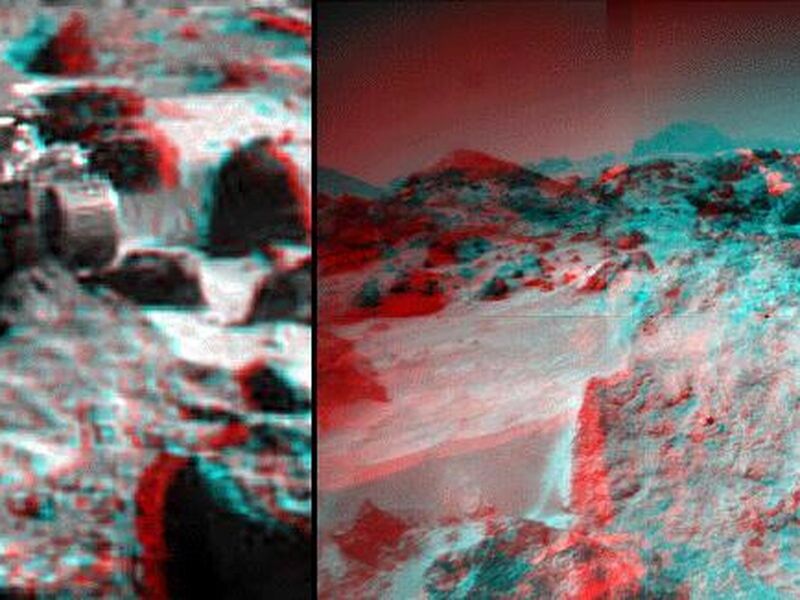 Then, for both the lander and rover, the left view is assigned to the red color plane and the right view to the green and blue color planes (cyan), to produce a stereo anaglyph mosaic. This mosaic can be viewed in 3-D on your computer monitor or in color print form by wearing red-blue 3-D glasses.